Euromonitor International is a global organisation based in London. The organisation is among the world’s first independent suppliers of strategic and tactical market surveys. With more than 40 years of experience with publishing international market reports, business references, and online databases, Euromonitor provides strategic business planning for organisations and brands of all sizes. Euromonitor is represented in 14 countries and is thereby a broad network of more than 800 analysts. As part of Euromonitor’s CSR programme and dedication to environmental responsibility, Euromonitor has supported Save the Orangutan’s programme to replant and restore the peat forest in Rantau Upak in the Mawas area since 2016. More specifically, Euromonitor has committed itself to balance their CO2 emissions in relation to their employees’ flight travels. CO2 emissions in relation to flight travels are calculated and converted to a monetary monthly donation to Save the Orangutan (15 pounds per ton of CO2 emitted). 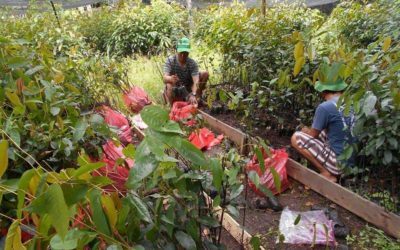 The partnership with Euromonitor helps restore the peat forest ecosystem of Mawas by blocking drainage canals and replanting the re-wetted area with fruit trees and local tree sorts. The restored area will eventually become a habitat and breadbasket for orangutans. 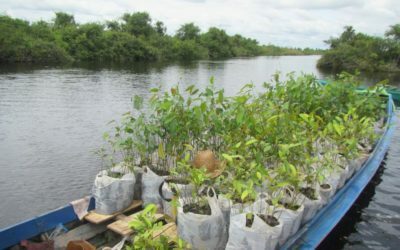 At the same time, the water levels are increased and the peat forest's ecosystem will be restored. 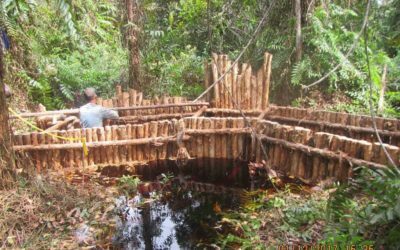 This reduces the risk of forest and peat fires that can spread throughout Mawas. The project also helps protect the existing forest, which inhabits one of the biggest populations of wild orangutans in the world. Moreover, the donations benefit the climate of the entire globe. They do so because the restoration of peat results in a reduction of carbon emissions, and new trees contribute to increased carbon storage. The continued partnership with Euromonitor therefore promises renewed hope for the thousands of orangutans dependent on the forests in the Mawas area. Euromonitor is committed to reducing the impact we have on our environment. If we are to reduce carbon emissions and increase carbon storage, then projects like Mawas are vital. The fact that we're also helping to create a future habitat for orangutans is an amazing addition and something that resonates well with our staff.